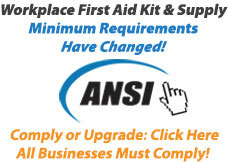 Having quick reference to proper methods of treating common first aid emergencies could make all the difference. 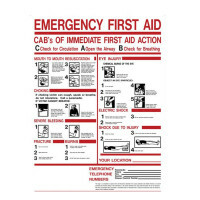 Our "ABC's of First Aid" Sign is an excellent source to refer to to care for a victim and covers a variety of subjects from CPR to electric shock. 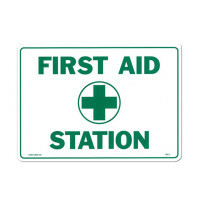 Similarly, identifying the placement of a first aid kit allows for prompt assistance to an injured person so that time is not wasted searching for the needed supplies - Our "First Aid Station" Sign has large, bold, legible lettering for quick spotting of the kit.